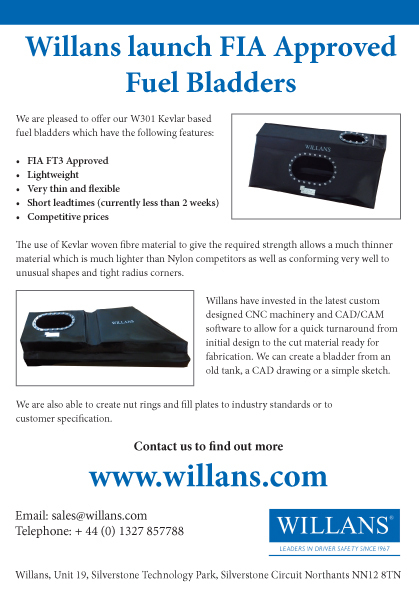 Willans requested an A5 single sided flyer design to promote their FIA approved fuel bladders. We cut the images out from the background and improved the photographs as there was slightly too much light on them. We then created a design, printed and delivered all within 48 hours.